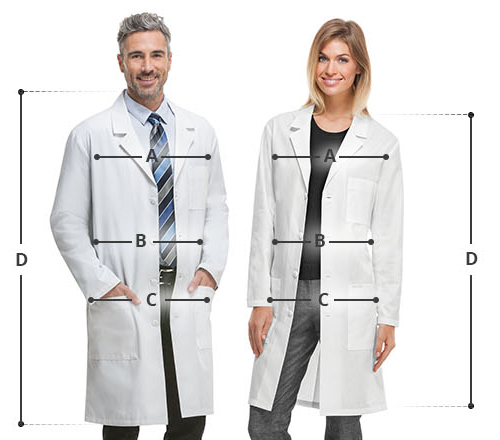 Feel comfortable all day long in Adar's 39-inch unisex lab coats made of super twill fabric. The lab coat has long, set-in sleeves ensuring safety, a classic notched lapel collar with five-button closure for ease of wear. Side slits aid in easy pant access and multiple pockets provide organized storage.